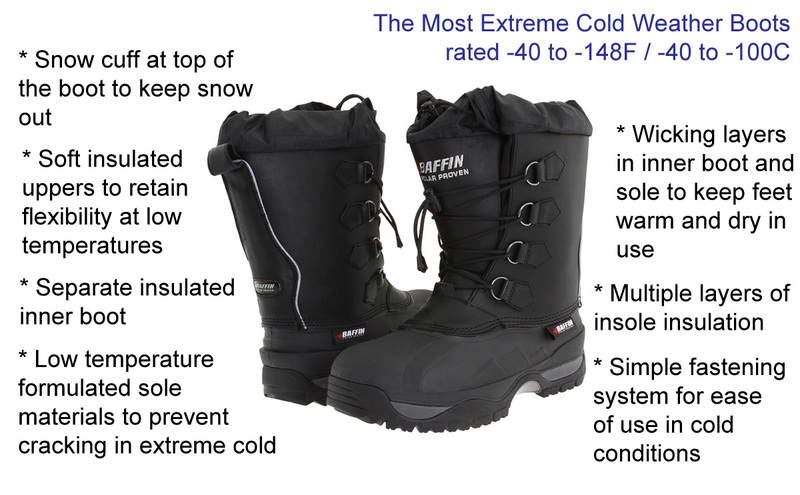 The correct boots are vital for Antarctica's extreme cold environment. 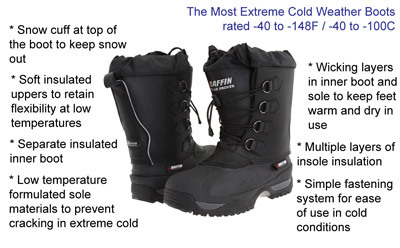 Winter footwear for Antarctica or any cold conditions. 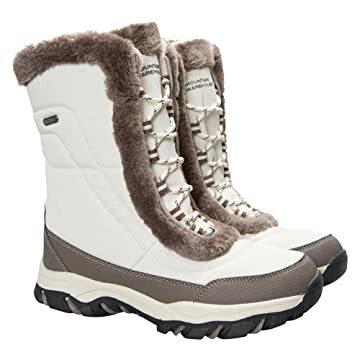 Ordinary plastic or leather hiking boots cannot be worn when it is very cold, cold weather boots in Antarctica are known as Bunny Boots or Mukluks amongst other names. 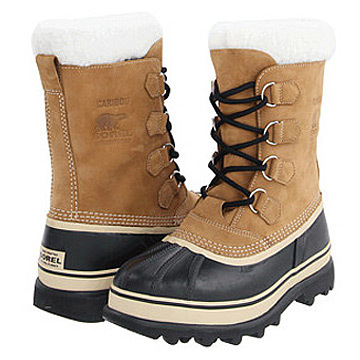 Extreme cold weather boots have soft uppers, thick rubber or synthetic soles, insulation that is usually removable and thick insoles to prevent heat loss to the snow and ice. 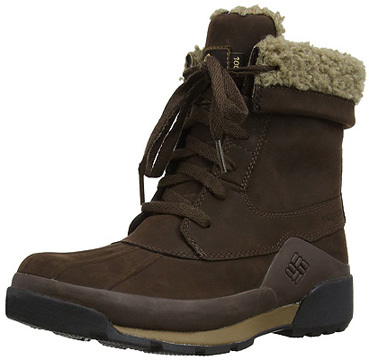 The flexible uppers and lacing system allow you to get them on while already wearing one or more pairs of thick socks, and allow for flexibility of fit. 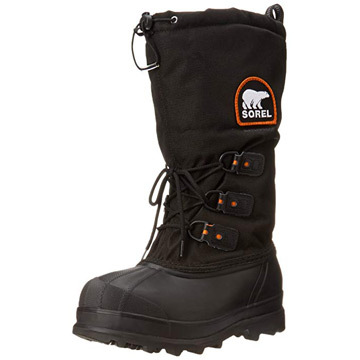 It is important not to squash socks down too much as it is the trapped air that is the real insulator. 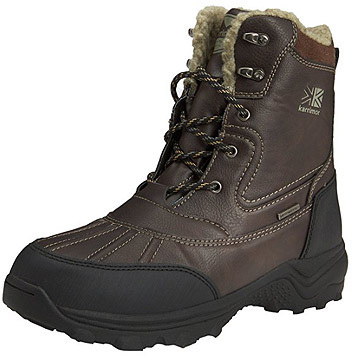 They are great at keeping you warm and suitable for the great majority of circumstances, though you'll need something more specialist for exceptionally rugged terrain or climbing. 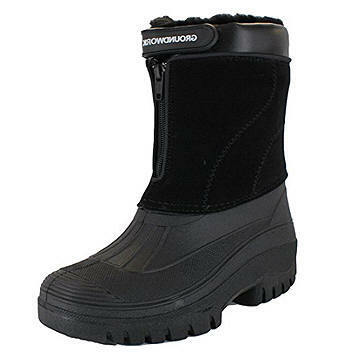 If you intend to walk or stand around on flat-ish ground in incredibly cold conditions, they will fulfill their function admirably. 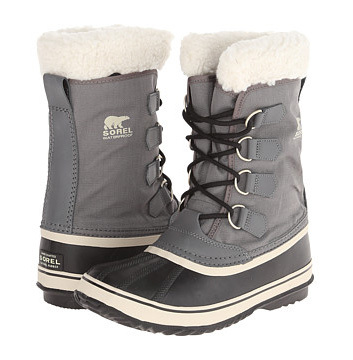 If you're planning on a trip to Antarctica you'll need some suitable substantial footwear. 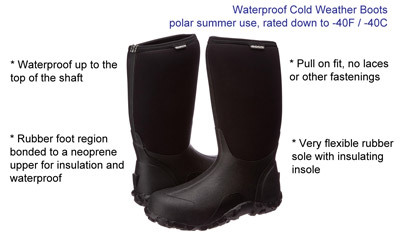 These notes are specific to those going to Antarctica, but are applicable to any hiking boots that you may need for cold climates and rugged terrain. Antarctica is rugged. There aren't any footpaths and walking will be at best on sandy or pebble beaches. The landscape that is not snow and ice is rocky, pretty rough and rarely flat. 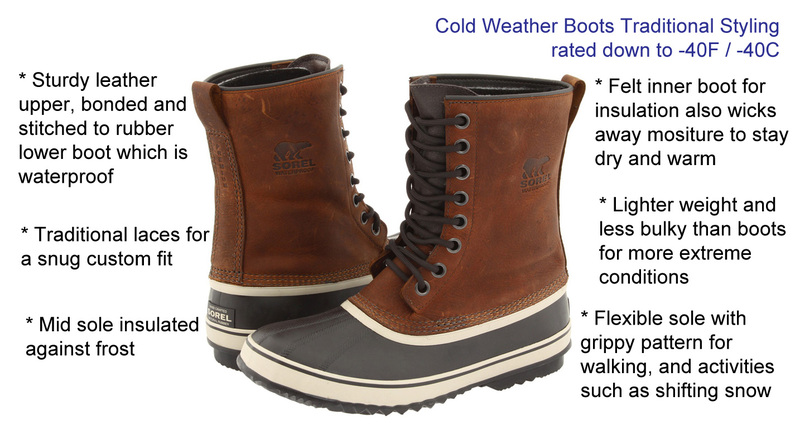 So a good solid substantial sole to any footwear is needed so that you don't feel all of those rugged Antarctic rocks too directly. Summer temperatures will be at mild Northern hemisphere winter levels at best. 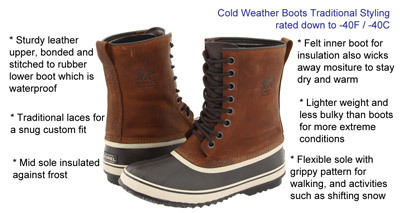 It may well get below freezing point, so the boots should be warm enough and roomy enough to take a pair of under socks and also thicker warmer hiking socks. 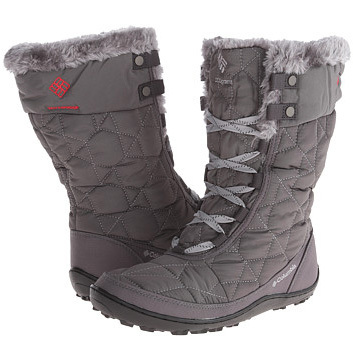 Your footwear needs to be warm, water-resistant, supportive (ankle height) and with a good sole. 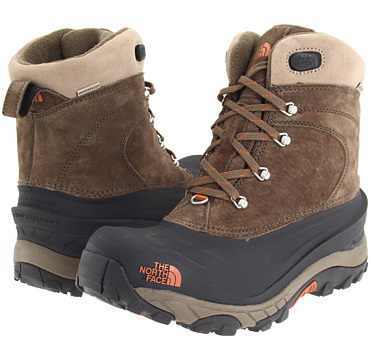 Comfortable also helps of course and fortunately modern walking boots are much, much better than they used to be not so many years ago. 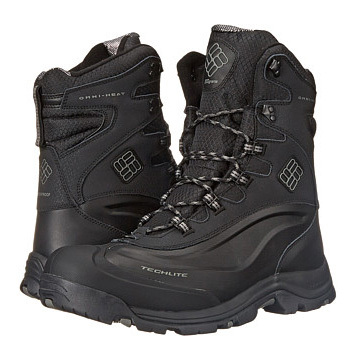 Gone are the days of breaking in boots long before you needed to use them in earnest from a stiff incompliant starting point. Also gone are the days when it was necessary as my grandfather advised me to my great horror as a fastidious teenager, to p**s in them and leave them over-night (that's what they used to do in the army apparently - India, Northwest frontier circa 1922). 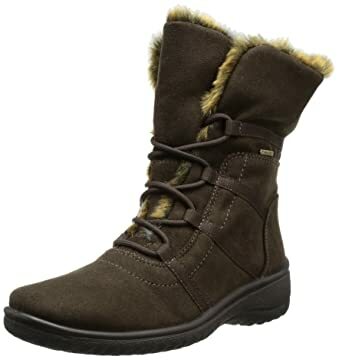 It is sensible to get used to your boots and wear them around town or at least the house for a while before you set off for the airport to go south. 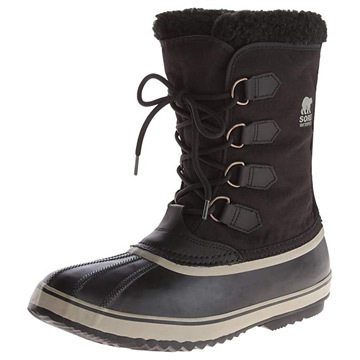 It's not a good idea to put them on for the very first time in your cabin to go ashore and see your first penguin colony close-up. 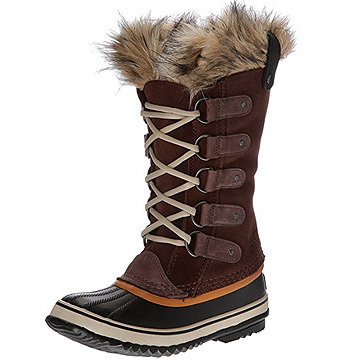 They arrive pretty much ready-to-go, but as with all footwear it depends on how standard your feet are! Socks - Don't "spoil the ship for a ha'porth o' tar". 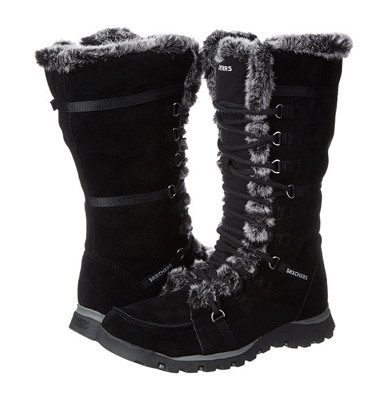 Get some nice comfy warm socks too. 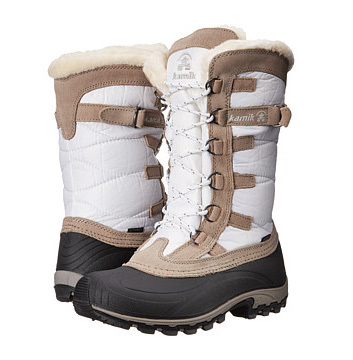 A good quality light-weight pair for next to your skin and then some "hiking" socks to go over these. 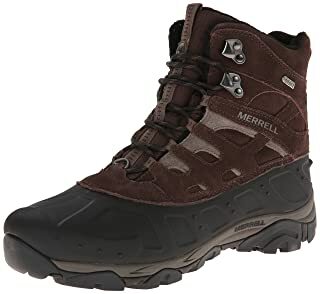 These are usually made so as not to have seams in uncomfortable positions and may be specially cushioned on the areas where the weight is taken. 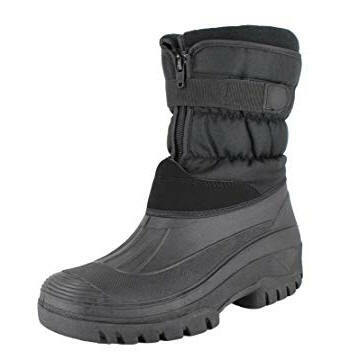 As you will be on a ship and making boat landings ashore, waterproof boots would be very useful! 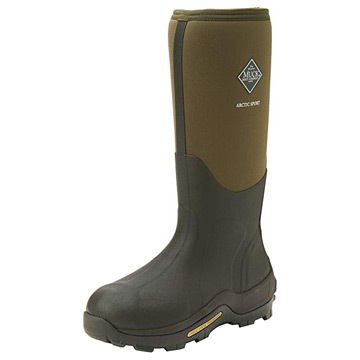 While you won't deliberately be wading through water, a missed footing into just a couple of inches of water could result in an uncomfortably soggy foot for quite a while afterwards. 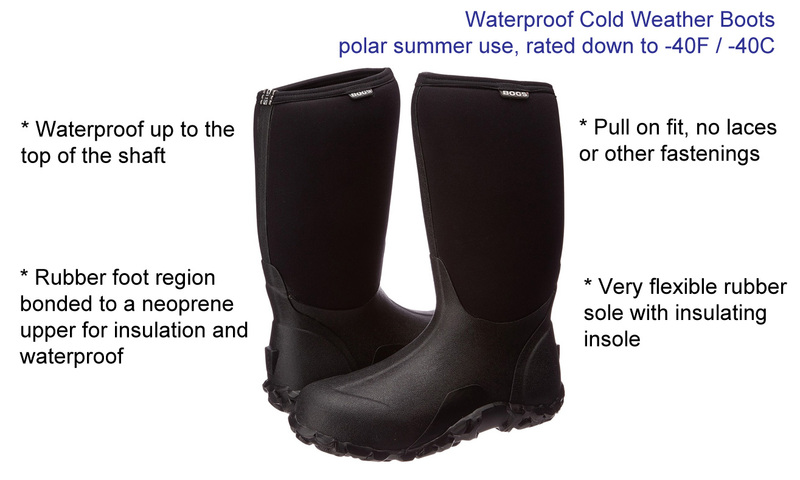 For use in and around boats in the Antarctic summer, the modern take on rubber wellington style boots are ideal with a close fitting and insulated neoprene upper. 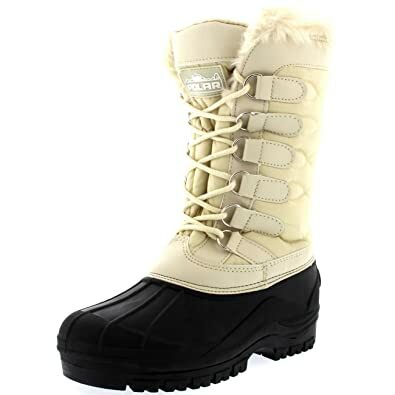 They are much better for walking in than traditional wellington boots and are increasingly used in Antarctica by scientists, guides and tourists alike . 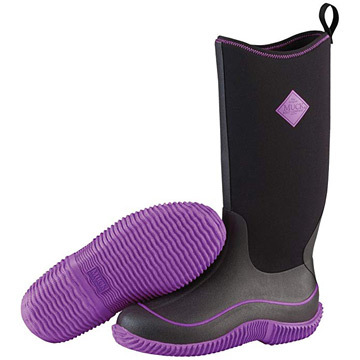 They are waterproof up to the top so you don't have to worry when getting in or out of the zodiac in shallow water and you can be comfortable walking around in them all day long.